Laundry and Dry Cleaning services for: Hotels, Restaurants, Guest Houses, Back Packers, Shipping Companies, Train Coaches, - 24 hours a day, 7 days a week! At Galleria Laundry we treat your clothing as if it were our own. Your laundry is picked up right from your front door and brought back to our facility where it is sorted, professionally washed, dried, perfectly folded and packaged according to type, gender and size. Simply put your laundry into bags and give us a call... It's that simple! Choose the pickup and delivery time that works for you! -Galleria Laundry strives to maintain and deliver the highest standard of service quality in the laundry industry. -Galleria Laundry has its ultimate goal, besides its existing services, to become a leader in providing a reliable dry cleaning and laundry services solution to the Commercial and Industrial Sectors. -Galleria Laundry strives to empower women from previously disadvantaged communities. -Galleria Laundry has been in business for seventeen years and plans to stay in business for years to come. 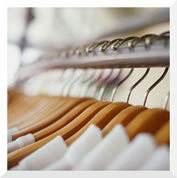 -Galleria Laundry entertains and welcomes changing trends and readily adapts to suit the market. -Galleria Laundry keeps abreast of new developments and technologies of the business.